The last time around, we had conducted a mega test about the cars with the best AC in the sub Rs 10 lakhs category and had declared a German, the Volkswagen Vento as the winner. Now, we have got the cars above the Rs 10 lakhs bracket and stretching all the way to the Rs 1 crore budget to decide the winner in the AC segment. We are sure that the readers would get a clear view if paying Rs 1 crore and having a car which has a less powerful AC would sway their buying decision or not. Paying more doesn’t always mean that you would get better things as this test proves out. Even we were shocked with the results and we are sure that even you guys would be equally shocked on seeing the results. The test route includes a distance of 10 kms wherein which we actually preheat the cars under the sun for a standard temperature of 50 degrees and then turn on the AC at full clip and at the end of the 10 kms journey, check the overall cabin temperature. So without further ado, bringing in the test of the best airconditioner in a car within the Rs 1 crore budget. 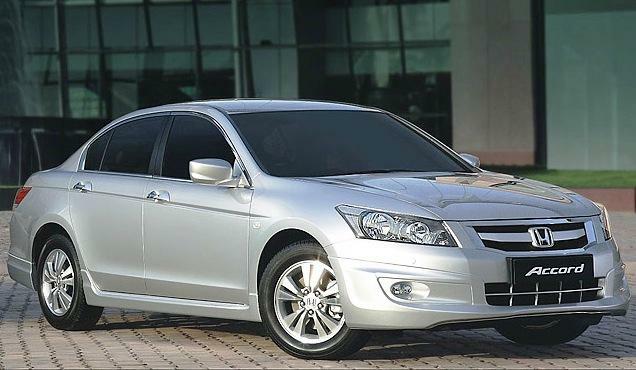 This very capable but pricey saloon from the Honda stables has been one of the best sellers for the company. There is lots of space on offer plus decent quality however when it comes to cooling the cabin, the Honda Accord lags behind. It could cool down the cabin to only 31.2 degree Celsius. Doesn’t enough justify the almost Rs 26 lakhs that Honda commands for it. The Skoda Laura rates high in our books for its value for money proposition however it was rarely noticed during our earlier tests that the Skoda Laura has small AC vents and the car’s Aircon couldn’t cool the cabin enough, halting at 30.9 degree Celsius. Having a thermometer in hand does really help matters. Toyota’s flagship car, the Toyota Camry is one much sought after car because it has the Toyota badge ahead of its nose plus the reliability factor coming in. Though this car is much of a success everywhere in the world, in India, it is yet to taste the exact kind of success that Toyota would want it to have. Though the airconditioner boasts of having plasma ions, it could only bring the temperature down to 27.9 degree Celsius. Hyundai’s flagship car, the Hyundai Sonata Transform, just like the Camry, doesn’t garner enough sales. This huge boat of a car’s AC could only bring down the cabin temperature to 28 degree Celsius from the starting point of 50 degree Celsius. The Volkswagen Jetta commands a premium over its sister concern sibling, the Skoda Laura. However this premium is justified when one sees that the Jetta has a better airconditioner than the Skoda Laura with the minimum temperature that we recorded in the cabin standing at 29.9 degree Celsius. 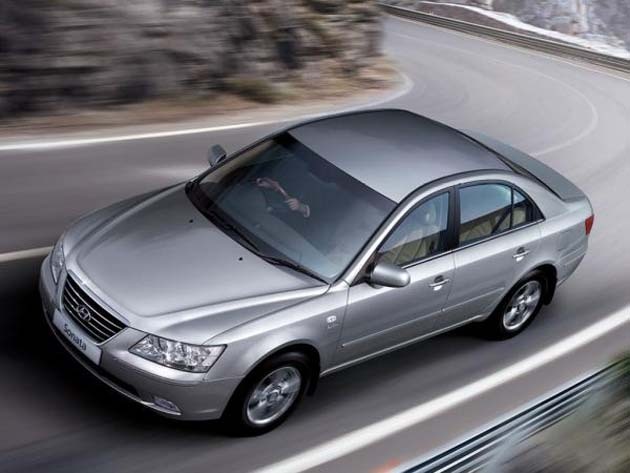 Another car which has been a failure in India due to its manufacturer’s apathy of not marketing it properly, the Mitsubishi Cedia or the Mitsubishi Gallant as it is known in the US however fights back with a very powerful air-conditioning system. The AC brought down the temperature to 25.4 degree Celsius. Considering the fact that it is one of the cheapest cars in this comparison is proof enough that one doesn’t have to rake out enough moolah to get the best things in the world. 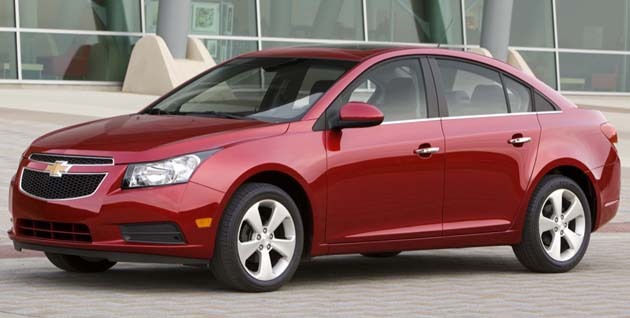 GM’s much applauded saloon, the Chevrolet Cruze not only boasts of head turning looks but also of a stonker of an engine. The inspiration drawn from its American cousin, the Corvette is all pervading in the interiors. Even with the all black upholstery, our test Cruze cooled down the cabin to 24.3 degree Celsius. One of the world’s largest selling cars in its category, the Toyota Corolla carries with it the weight of the Toyota badge and also a tag of being supremely efficient in its operation. The Toyota Corolla Altis doesn’t disappoint on the air-conditioning front as well. It brings down the cabin temperature to 24.1 degree Celsius from the start point of 50 degree Celsius. The Honda Civic is due for a replacement soon however its stylish interiors and sharp exteriors make it a good buy. Honda’s somewhat reasonable pricing for this car also means that there is always a customer waiting to get this saloon out of the showrooms. The air-conditioning does a wonderful job of cooling the cabin to 25.2 degree Celsius. The Skoda Superb is one hell of a car when it comes to performance or even the dynamics. However the Skoda’s automatic air conditioner failed to impress us with the temperature plummeting down to only 28.5 degree Celsius after the course of the drive. 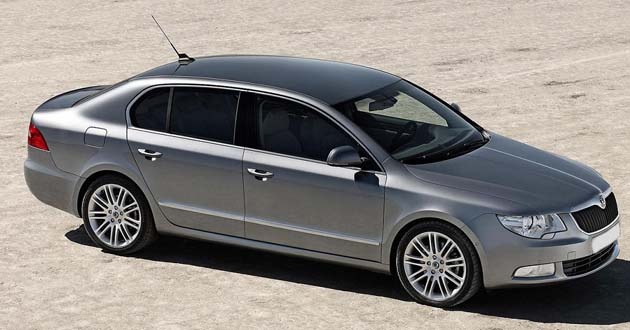 The Skoda Superb’s mirrors image, the Volkswagen Passat impressed us with its aircon at the time when we test drove it. However we never checked the actual temperature. The premium that Volkswagen commands over Skoda is justified with the Passat’s AC logging on a temperature of 27.4 degree Celsius at the end of the test. The smallest Bimmer of the BMW family, the BMW 3 series is a car which one would buy purely for the driving pleasure that it affords. However the BMW 3 series fails as far as its air conditioner is concerned. It could manage to bring down the cabin temperature down to only 29.7 degree Celsius. The smallest car which sports the 3 pointed star, the Mercedes C-Class has got a solid engineering going for it plus its badge power. When it comes to driving pleasure, the Mercedes lags behind BMW however when it comes to comfort zone, the Mercedes comes out on tops. The C-Class cooled down the cabin to 27.6 degree Celsius, way lower than what the BMW could achieve. 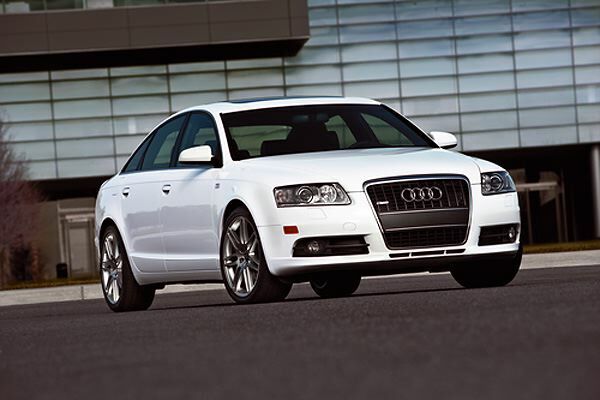 The Audi A4 is the silent performer of the lot. However during the past several months, the sales of the A4 have been steadily picking over. It remains eclipsed between the Mercedes and BMW however as far as interior features are concerned, the Audi doesn’t lag behind and its air conditioner is one of the most powerful in its class. It brings down the cabin temperature to 26.9 degree Celsius. The best, amongst the trio of Germans then. Well, the Nissan Micra impressed us with its AC unit and it was now time to put the bigger luxury boat, the Nissan Teana to test. The Nissan Teana didn’t disappoint either with one of the lowest temperatures recorded during the entire test, 25.1 degree Celsius. Impressive enough. 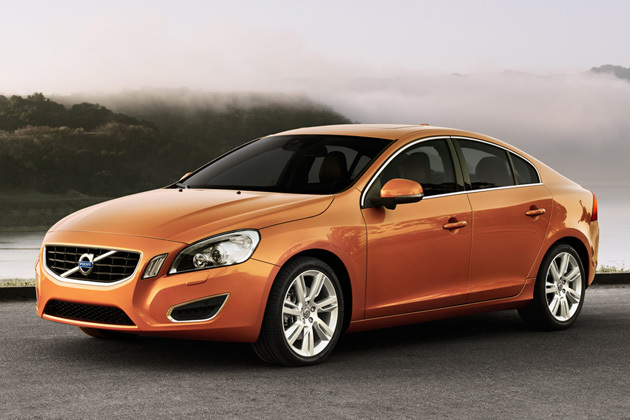 The newly launched Scandinavian competes heads on with the Bavarian and the other Germans. Not only does it have one of the lowest price tags from amongst the slew of entry level luxury cars, it also manages to impress with its interior quality and performance. Speaking of performance, the AC performance was also one of the best in this comparison test standing at 24.8 degree Celsius, a whooping 2 degree Celsius less than the Mercedes E Class. The bigger brother of the 3 series, the BMW 5 series has got sportiness and luxury embedded into one. However the AC of the BMW 5 series is a bit of disappointment when it manages to cool the cabin down to only 27.3 degree Celsius. We certainly expected lower temperatures. 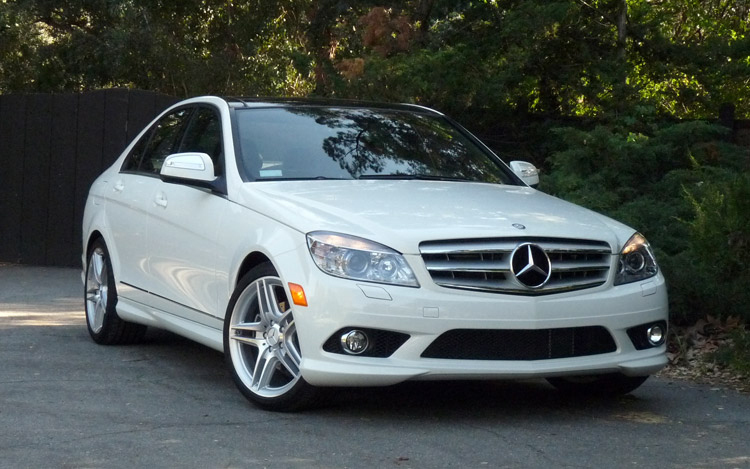 The Mercedes E-Class epitomizes all the values that Mercedes cars stand for and is a nice trade off as far as sportiness and comfort are evaluated. The cool quotient of the car is carried out on the inside as well with the cabin recording a 24.1 degree Celsius temperature during our test. The newly revamped Audi A6 impressed us with its agility and interior features. Moreso, the airconditioner, as was evident from this test with the Audi recording a closing temperature of 24.5 degree Celsius, falling just short of the Merc’s temperature benchmark. The Jaguar XF is the odd ball in the slew of Germans around in India. But then it commands more than a second look rather than the Germans which have become all the more ubiquitous. Its interiors are a revelation in itself and the whirring gear lever and the aircon vents opening is also a marvel thing. The Jaguar impressed us with its closing temperature of 24.9 degree Celsius. Certainly the dark horse amongst the lot. The BMW 5 series GT is a rip off of the BMW 5 series and an estate. It looks bigger than the 5 series but short of the X6. As seen from other BMW air-conditioning units, even the one in the BMW 5 GT could manage to get the cabin temperature down to 28.4 degree Celsius only. But then the cabin is also bigger than that of a normal car and hence it takes a great more effort from the air-conditioning unit. Didn’t we mention Rs 1 crore saloon? Well, the S-class is the closest to that and is the preferred set of wheels for any celebrity or any other person who wants to announce that he or she has arrived in life. Like the smaller cars from its stable, the flagship of Mercedes, the Mercedes S-Class chilled the cabin to 24.6 degree Celsius. The perfect foil for the Mercedes S Class in India, the BMW 7 series is one hell of a driver’s car and this is belying its mammoth length and size. However as expected from BMW or rather after seeing the performance of its other cars vis-à-vis the air-conditioning unit, BMW 7 series’ cabin temperature recorded was a much higher 28.5 degree Celsius. This is about 4 degrees higher than what the Mercedes S-class could achieve. Not at all impressive. The costliest Volkswagen in India plus the most comfy one, the Volkswagen Phaeton is for those desiring luxury and opulence. The air-conditioning inside the cabin of this vehicle starts with the AC vents being unveiled with the rolling of the wooden covers. The Phaeton’s AC managed to cool down the cabin to a temperature of 26.2 degree Celsius in our test cycle. 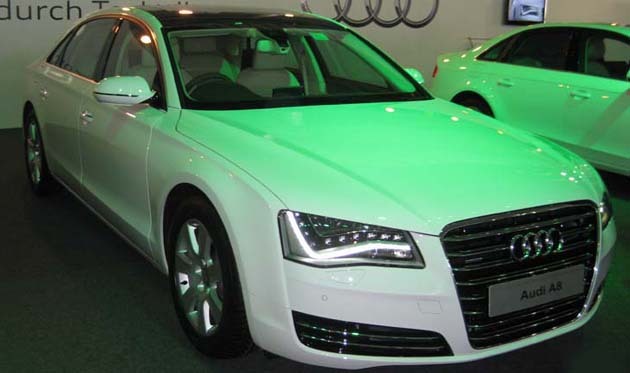 The recently introduced Audi A8L has a wide array of talents, the features list not counting. However the air-conditioning inside this car failed to impress the hot headed amongst us. It could manage a minimum temperature of 28.6 degree Celsius after the 10 km drive, worse than even the BMW 7 series. The BMW 5 series as also the Mercedes E-class competitor, the Volvo S80 is one hell of a car as far as technology and safety features are concerned. Its good on performance as well. What it lacks is the special feeling which one would want from a car. However this Scandinavian has more than one trick up its flourished sleeve. It has a got a very cool AC unit, one which takes the cabin temperature down to a bone numbing 23.2 degree Celsius. The very fact that Sweden is near to the Artic Circle must have inspired the Swedes to come up with such a good AC unit. Undoubtedly, it is the winner of this AC comparison amongst the saloons upto the Rs 1 crore mark. Mind you, it doesn’t even cost one crore and would be yours for as less as Rs 55 lakhs. Our top pick of the lot happens to be a Swede (or is it Chinese) rather than a German or Italian. 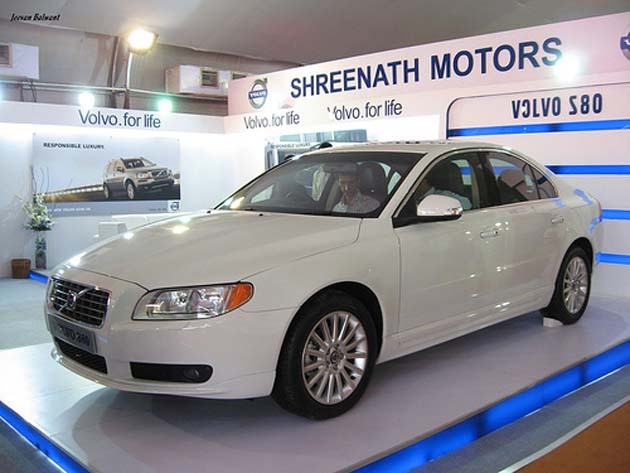 It is the Volvo S80 in India which comes out on tops as far as the AC of a car is concerned. This test also proves that Skoda and BMW have to up their ante as far as the performance of the air conditioners in their cars are concerned. Not that customers would notice much, but then we are here to give you the exact details without any dilution.